If you don’t know what MIMA is, it’s the Middlesbrough Institute of Modern Art. And if you visit the gallery from late November, you can check out Bauhaus Reviewed 1919-1933. 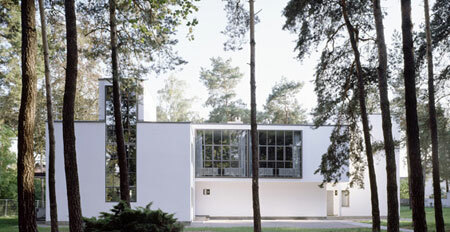 It’s claimed to be the most significant Bauhaus exhibition in the UK in the last 30 years, offering a range of design, furnishings, architectural models and films relating to the German design school, plus new photography of surviving Bauhaus buildings, including the Kandinsky/Klee House in Dessau (pictured above). The exhibition runs from 23rd November 2007 through to 17th February 2008.